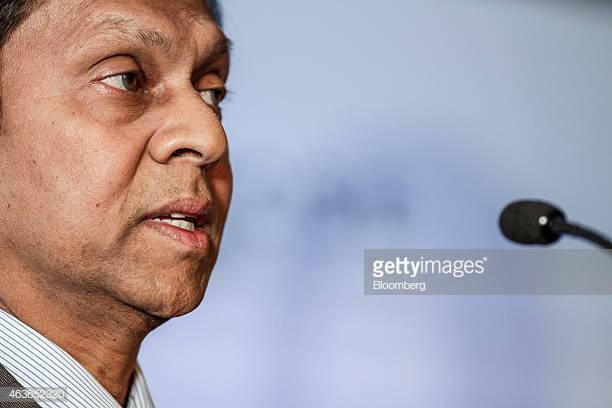 March 22, 2019 (LBO) – Former Governor of the Central Bank of Sri Lanka (CBSL) during the Mahinda Rajapaksa administration, Ajith Nivard Cabraal, has come out with criticisms of the pricing and interest rates on debt that came out of the recent sovereign bond offering. His contention that somehow the interest rates were abnormally high is a factual distortion and undermines officials at the Central Bank of Sri Lanka who helped to conduct a successful large scale sovereign bond offering after a period of unprecedented political turmoil. Sri Lanka’s 52 day constitutional crisis, caused by Cabraal’s political allies, resulted in hundreds of millions of dollars fleeing the capital markets as well as a debt rating downgrade. During the crisis it became evident that Sri Lanka would likely be unable to tap the sovereign bond market in order to refinance large amounts of debt coming due in 2019, much of which was likely taken on during Cabraal’s tenure as Central Bank Governor. Sri Lanka was on the verge of a financial collapse, but despite this, officials at the Central Bank were able to hold the line. It was those central bankers who can be credited for saving the Sri Lankan economy from total collapse. They should be commended by the CBSL’s former governor instead of discredited by him. The interest rates on Sri Lanka’s recent sovereign bond were dictated by international market conditions. The rates and the quantum achieved would be termed a resounding success by any independent observer who understands the capital markets. Sri Lanka raised $2.4 billion dollars which has put a strong backstop under the economy and the currency. The Sri Lanka rupee is stable, and financial conditions are improving. The former CBSL Governor can play politics and slice and dice the numbers any way he likes, but the truth doesn’t lie. Governor Indrajit Coomaraswamy and the officials of the Central Bank of Sri Lanka have pulled us back from the brink of monetary chaos. A sincere thanks is owed for their efforts.